You can contact us either by phone, email or dropping in at our West Gosford warehouse on the Central Coast, NSW Australia. Whilst majority of goods are posted all over the world, our doors are open to customers wishing to visit our warehouse by appointment. Please contact to arrange a day & time to look at the Finn Moto range. Online purchases are posted same day / next day. All products have a risk-free money back or exchange guarantee. 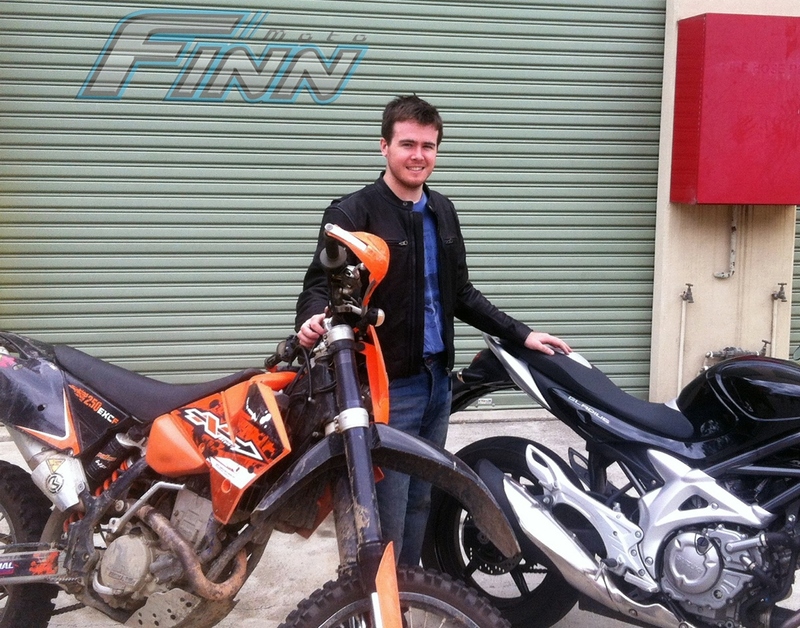 Contact details: sales@finnmoto.com.au or during business hours you can phone Matt 0405 247 408. Pick up by appointment only 3/7 Comserv Close, West Gosford NSW 2250.